After years of not doing anything particularly special for Halloween, this year we decided to start early and actually make our own costumes. 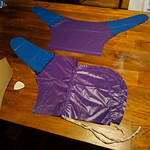 Of course our plans were way too ambitious, so despite the fact that we started in August, by Halloween morning only one of our three costumes was actually finished. 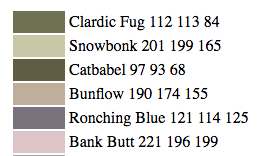 The idea: inflatable nudibranchs. Nudibranchs (aka sea slugs) are marine invertebrates with incredible, psychedelic designs. 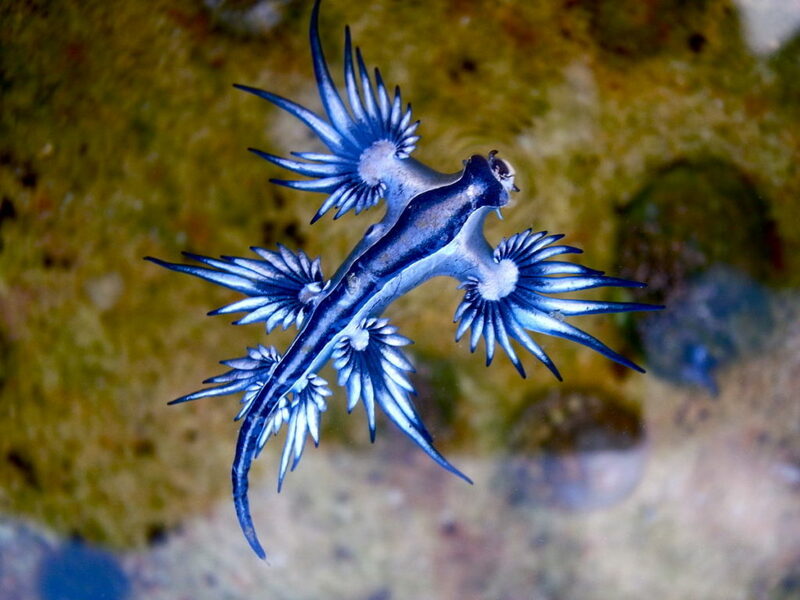 If they look like something from a science fiction book cover, that may be because the designers of sci-fi aliens have been quietly stealing ideas from nudibranchs for decades. The trickiest part was figuring out how to attach the costume to a person’s body. 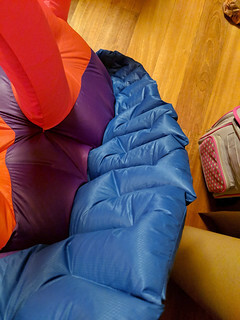 With most inflatable costumes you can buy in stores, your whole body goes inside the inflated part of the costume, with just your hands and feet sticking out of elastic cuffs. This seemed like it’d be really hot and uncomfortable over a long night of running around trick-or-treating. So I made ours an outside-the-body design, with two belts of nylon webbing to attach to your torso, and a drawstring hood for your head. 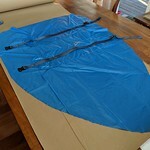 We found it wasn’t hard to rip the ripstop nylon at the point of attachment to the straps, so I reinforced those areas with a second layer, based loosely on how sails are reinforced at the clew. Without quilting around the fringe, the body puffed up into a gigantic potato. 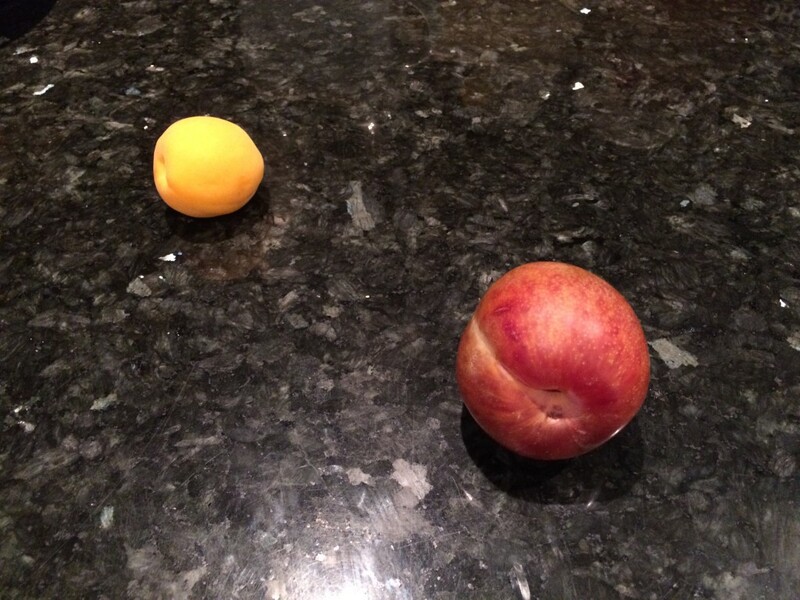 And the orange cerata looked more like a cow’s udder. One part I’m pretty happy with is the quilting of the blue fringe around the body. 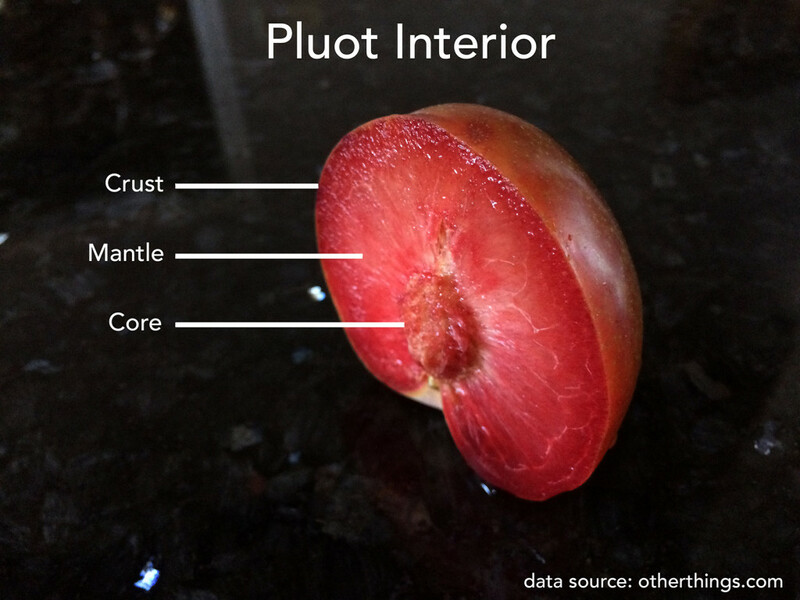 Without it, the body puffed up into a big potato shape. 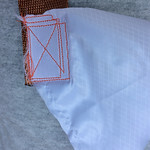 But I stitched in a pattern of alternating lines to make a little zigzag maze for the air to flow through. The result was a pretty decent match for the crinkly fringe of a real nudibranch’s foot. 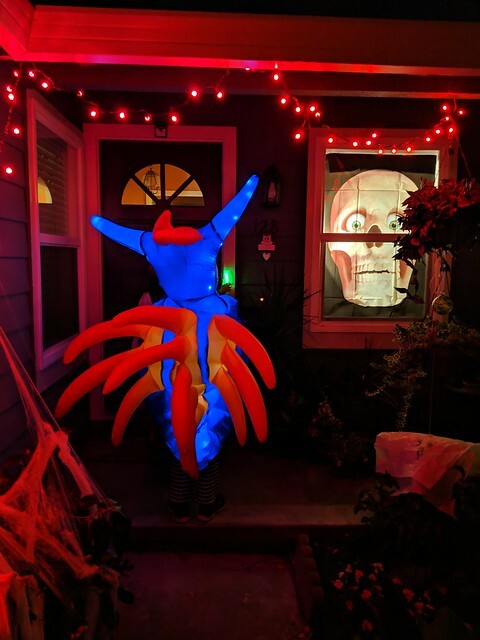 By now I am completely hooked on this inflatable costume idea. 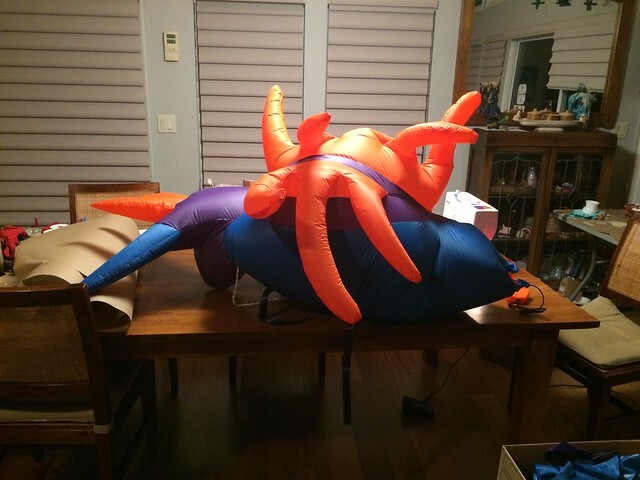 Which is good, because I’ve still got my own blue water dragon nudibranch costume to finish… but that’ll have to wait ’til next year! I wasn’t sure about machine learning before, but it’s growing on me. Links via @golan, via @annaleen, and via the great glorious Internet, long may she reign. Every place has a certain food that you just can’t seem to get anywhere else. For New Yorkers it’s the bagel. For the French, the croissant. 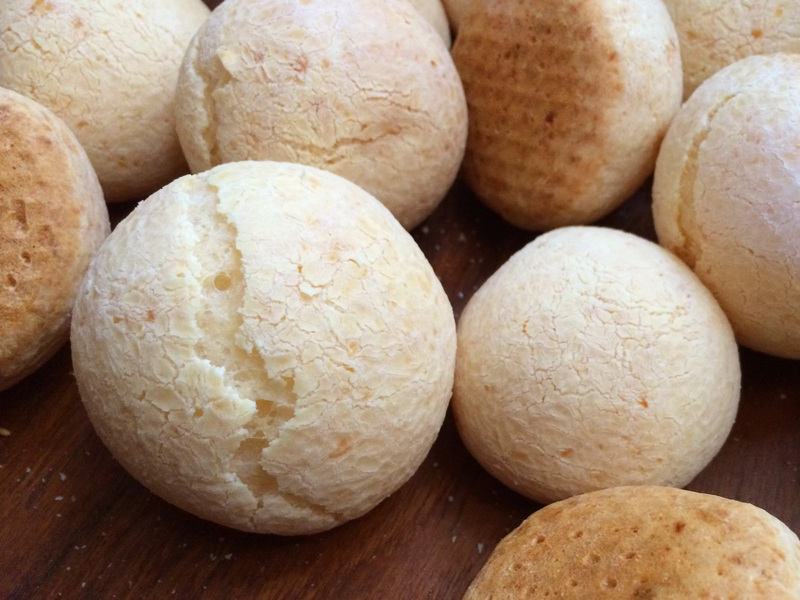 Pão de Queijo (cheese bread) is that food for Brazilians. For years we’ve gotten by on packaged dough balls from the frozen section of our local Brazilian market. But this weekend we found an old recipe from a friend, and realized we had everything we needed to make it from scratch at home.